So, I am spending a couple of days in Houston with a friend. Yesterday, after a 5 hour drive from Sherman, we took in some culture and visited the Museum of Fine Arts Houston. I was particularly taken by the Roman Vishniac photographic exhibition and his photographs of Jewish life in Eastern Europe. Many poignant and candid photos giving the viewer a real glimpse into a life that many of us can only image, particularly those taken in post war Berlin. I could have spent so much longer pouring over these images; it was fabulous. 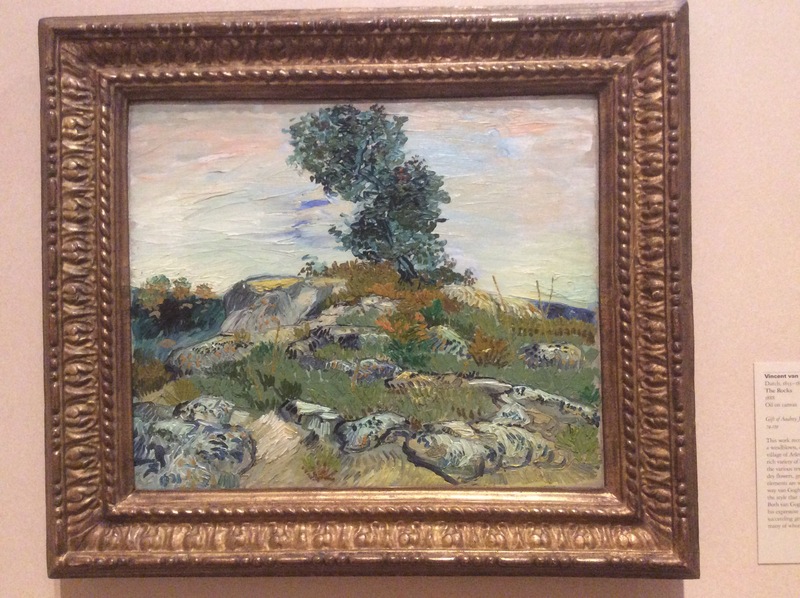 I also got to enjoy some more classic paintings from the masters – Van Gogh, Picasso, Monet & Matisse. I have seen some wonderful art whilst in Texas – we miss out on so much in Australia, where we have to wait for a special traveling exhibit. 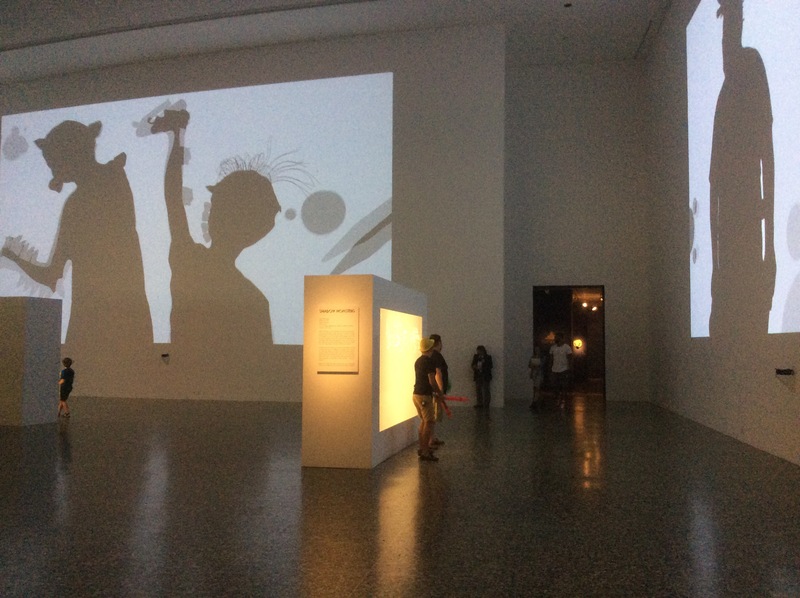 Also at the museum is the Shadow Monsters interactive display – we made scary shadows and had fun! Great for young and old! There was also a fabulous interactive LEGO building exhibit where you could indulge your inner architect or city planner. Everyone is encouraged to add to the LEGO city creation. The MFAH is a very interesting museum and is spread over 2 buildings. 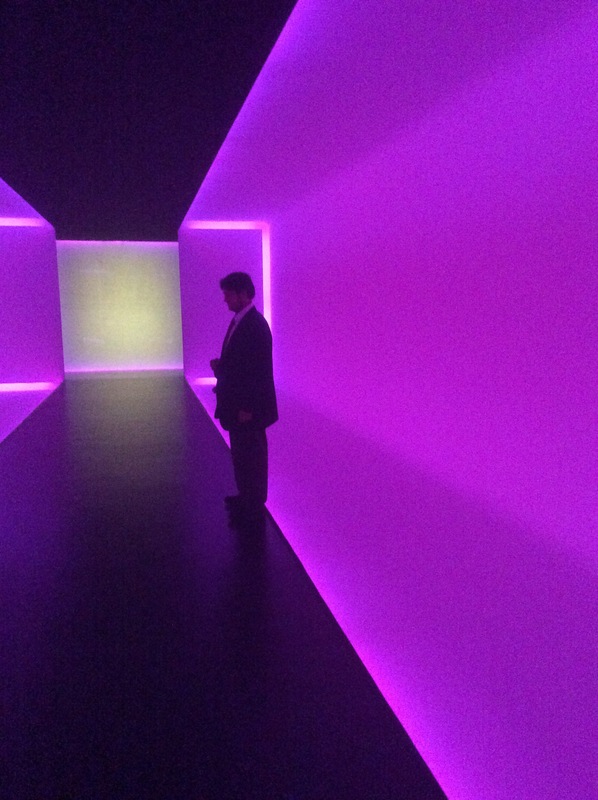 Between the two, is an interconnecting walkway which is a piece of art in itself – a light tunnel, where the color changes every 6 minutes. If you get to go, Thursday’s are a great day to visit as entry is free! Anyway, the reason I am in Houston is that I am accompanying a friend on a business trip – so I took the opportunity to see a little more of Texas and poke around a little in Houston. My friend is a well respected quilter and author (Becky Goldsmith) and is attending the Quilt Market in Houston. Now, this ‘convention’ is a BIG deal – I didn’t realize just how big. More later! 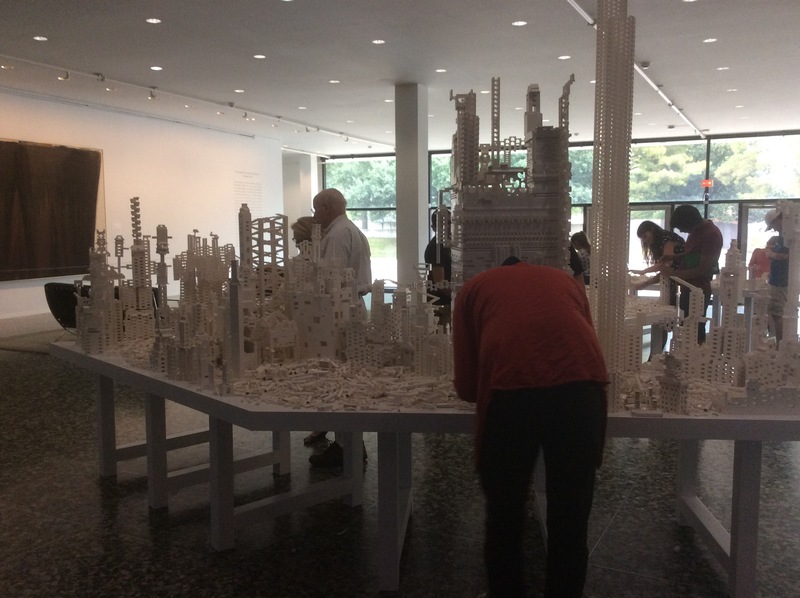 This entry was posted in Life in America!, Texas, USA Travel and tagged art, fun, Houston, lego, museums, shadow monsters by Catherine Wright. Bookmark the permalink. I missed so much on my visits there. Next time …..